If you're looking for a car rack that will haul your favorite 2-wheeled possessions with swagger and security, the Saris Bones Hitch 2-Bike has you covered. With arching lines and robust, American made materials this hitch rack can be summarized in two words: beautiful simplicity. 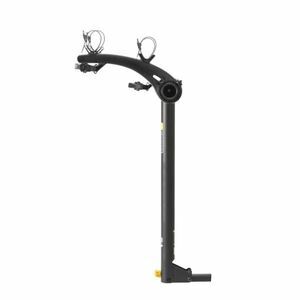 Weighing in at only 15 lb.s, this 2-bike hitch rack is a full 25% lighter than similar racks Ã± yet just as strong. With integrated anti-sway straps and soft-touch protection hold downs, the Bones Hitch is a fully functional piece of art.